The verb to get in English Beginners Course Lesson 25. 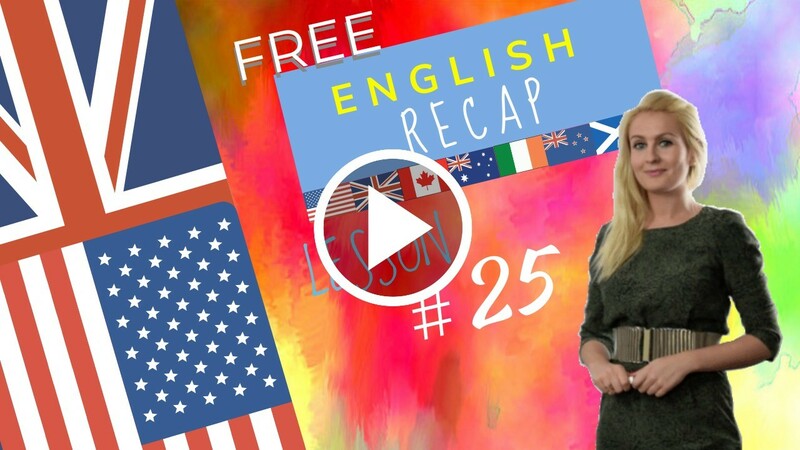 HomeEnglish courseThe verb to get in English Beginners Course Lesson 25. March 17, 2018 julia English course Comments Off on The verb to get in English Beginners Course Lesson 25. This English tutorial is focusing on the verb to get. As we have seen Phrasal verbs are idiomatic phrases which consist of a verb and another element, either an adverb or a preposition. The combination of both (Verb + preposition or Verb + adverb) create a new unit of meaning called a Phrasal Verb. A good example is get and it’s many permutations. The main idea didn’t get across. It is still raining but he gets on the bus without getting wet. The bus is full of people returning from a night out in London. It is getting late and it is nearly midnight when Peter gets to the front door. He is tired and he goes straight up to bed. He gets into bed but he is thirsty. Indian food is delicious but very salty. He gets out of bed and goes down to the kitchen to get a glass of water. That’s better, he quenches his thirst and returns to his bedroom. This time he has no difficulty getting off to sleep. The following day he has to get up early because his girlfriend is coming round for Sunday dinner. Phrasal verbs are idiomatic phrases which consist of a verb and another element, either an adverb or a preposition. The combination of both (Verb + preposition or Verb + adverb) create a new unit of meaning called a Phrasal Verb. He found it difficult to get the point across. We get on so well with each other. News gets around quickly here! It will be impossible to get around it. We have to tell her. It’s too far for me to get at. What exactly are you getting at? Get away from the road! Let’s get away for the weekend! This dreadful weather is getting me down. It got me down for a while. I have to get down to work! I got on the bus at eight. Get on with it! We don’t have all day. It will be difficult to get out of this situation. Did she get over the break-up? He can’t get over his shyness. Do you get along with your sister? Yes, we get along fine. Do you get around quickly on your motorcycle? Yes I do, thank you. And can you pass me the box? No I can’t, it is too difficult to get at. Are you going to get down to work soon? Yes, I will start immediately. I don’t want to go to Robert’s for dinner . Can’t we get out of it? No we can’t get out of it, we promised Robert. Yes I got up at 7 o’clock. Yes it is getting late, it is 12 o’clock. Did you get on the bus? Yes I got on the bus. Did you have difficulty getting off to sleep? No, I did not have difficulty getting off to sleep. Hi guys! Welcome back! Let’s see the recap together of lesson 25! Today we’re going to see lots of vocabulary. We’re going to start off with vocabulary for going out and coming home , vocabulary of the house and vocabulary of food. At the end would do a recap of your grammar point of the day which are phrasal verbs with the verb “get”. On my screen, for the grammar review, you will now have a synonym or equivalent expression. Please guess which preposition is missing or which prepositions are missing to complete the phrasal verb with “GET”. That’s it for today guys! Thanks ever so much for watching! I hope to see you in our next recap video!